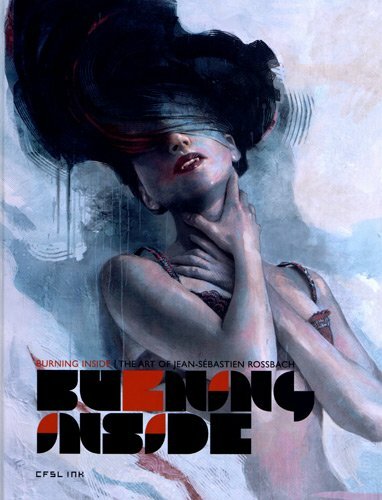 Burning Inside is a 192-page hardcover artbook collecting ten years worth of work from the French artist Jean-Sebastien Rossbach (DeviantArt). The book is heavy on fantasy art, primarily the characters. Included are his personal artworks and also those he did for titles such as Punisher, Magic the Gathering, World of Craft and for other clients. The art is beautiful. It has a painterly feel that doesn't smack of digital painting. There are nice textures and details going across the canvas. There are warriors carrying their long blades, barbarians with axes, pirates, magical creatures, portraiture inspired contemporary art, pin-up posters of a personal fictional character Cheree Furiosa. Even the few pieces of sci-fi art have the fantasy feel because of his style and lighting. There's not much text except the occasional commentary that's in both French and English. It's a book to look out for if you like fantasy art. thanks a ton for the nice review ! Thanks. I've added the links.